Shuttle: 3.5 miles, paved road. I don’t have a whole lot to say about this run. The one time I have done it so far was at the GAF in 2014 as part of the paddle out after some laps on the Cascades to get back to our car where the shuttle had picked us up. The run is a bit strange… at 450 cfs the run felt low for sure, lots of hitting rocks. However, the two or three main rapids still packed some decent hydraulics. Lower than 450 I think the run would become too boney for my taste… but I can also imagine that with flows over 600 cfs the runs continuousness quickly adds difficulty to it creating a hazard for class III-IV boaters who might miss a roll here or there. And as such, I would imagine lots of folks avoid the run who might normally enjoy it. And of course the class V boaters go off to run something else more interesting when the flow is up… so as I said, the run is a bit strange. The only other piece of information I will pass along is that you can put in lower and lower if you want to take the teeth out of the run. There is a turn out below the hardest rapid, about 0.2 miles down. And you could also put in below the bridge and the final major challenge at mile 0.9. Sorry for the lack of pictures... I didn't think about packing my point and shoot before we headed out. 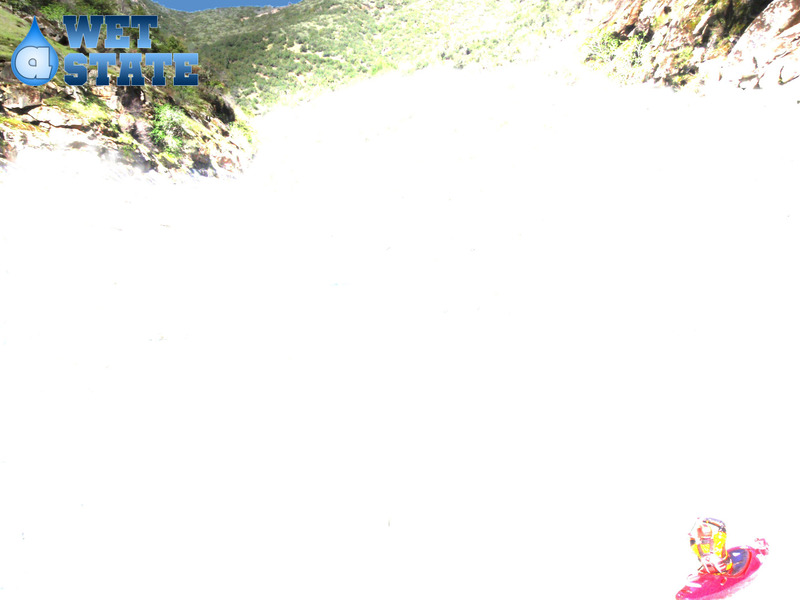 The rapids start immediately with some busy whitewater and rock dodging. This pick up leading to the first significant move on the left hand bend. PB&J (III+). A fun section of boogie leads to sloping hole on the right. At 450 this hole was great fun to drop into. You could also avoid it to the left. Troll Hole/Fuzzy Bunny (III+). On another left hand bend the bridge comes into view and you get to the final large rapid of the run. We boofed through the meat of the hole in the middle. Avoid going too far left as there is a rock over there. Take-out: Just south of Nantahala, NC on Highway 74/19 take Wayah Rd to follow the Nantahala River up the valley. As soon as you turn on the road park in the parking area to the left (or if it is full, across in the grass lot). Put-in: Continue up Wayah Rd another 3.4 miles you will see a parking just before a bridge over the river. This is the take-out. Be aware parking is limited. During festival weekends there is a shuttle up from the bottom that is free to use.